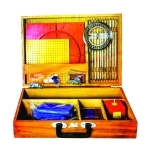 Jlab are manufacturer and supplier of NCERT Educational Science Kit, Math Kit, Physics Kit, Chemistry and Biology Kit, Upper Primary Science Kit Manufacturer, Upper Primary Mathematics Kit Manufacturer, Secondary Science Kit Manufacturer, Secondary Mathematics Lab Kit Manufacturer, Senior Secondary Physics Lab Kit Manufacturer, Senior Secondary Chemistry Lab Kit Manufacturer, Senior Secondary Biology Lab Kit Manufacturer, Early School Math Learning Kit Manufacturer. 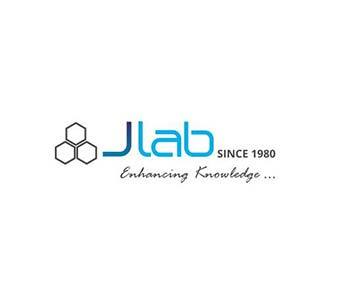 Jlab is renowned NCERT Kits Manufacturer in India, NCERT Kits Exporters in India, NCERT Science and Mathematics Kits, NCERT Kits Suppliers, NCERT School Kits, NCERT Kits Manufacturer, NCERT Kits, Education NCERT Kits in India. 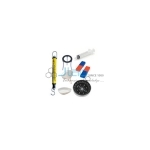 All the concepts of Physics, Chemistry and Biology can be learnt experimentally. 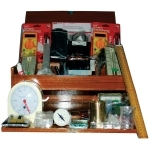 4 slots 125 x 5 mm with both ends rounded to semi-circle. 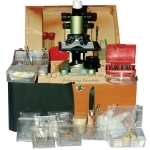 In side the box three pocket one side and one for microscope. 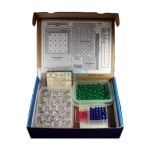 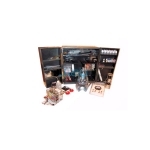 Organic and Inorganic molecular structures can be constructed using this kit.